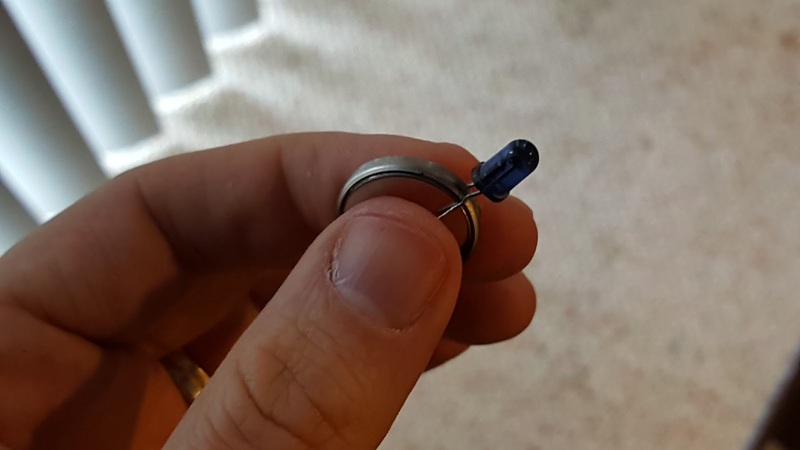 Last week, while playing with my Raspberry Pi LED Blinky setup it hit me: how cool would it be to have the Pi flash an LED that was invisible to the naked eye, but with the right filter, visible to those in the know? 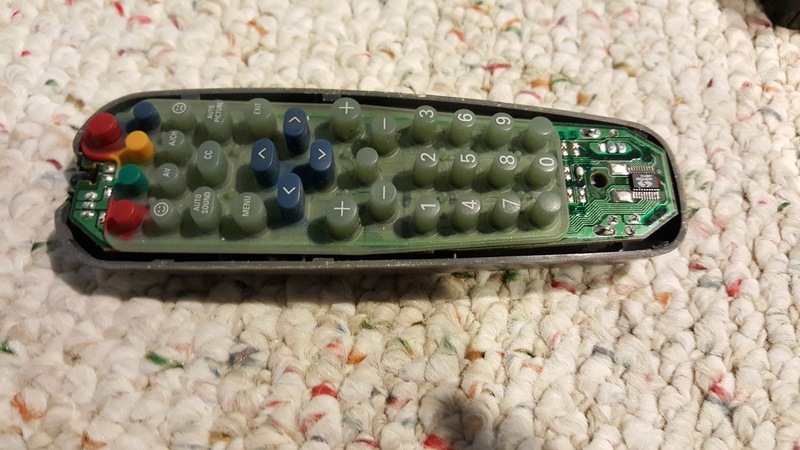 A couple of Google Searches showed just how easy this is to do. It boils down to two options: replace the standard LED with either an Infrared or UV one. As your 6th grade science teacher would remind you, people can't see Infrared or UV light, even though the rays are very out there. 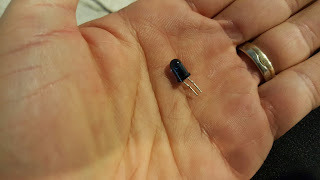 I decided to focus on using an infrared (Ir) LED. Why? First off, they seem safer than UV (when was the last time you saw a you'll blind yourself if you look at this remote wrong! type of message). 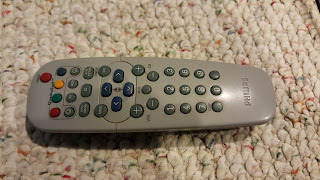 And second of all, I had a free and easy source to get a hold of the LEDs: ancient and now seemingly useless remote controls. 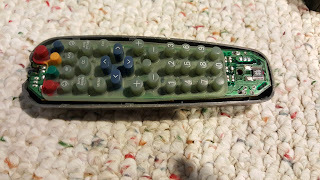 After desoldering the LED from the remote, I just dropped it into my Pi circuit. 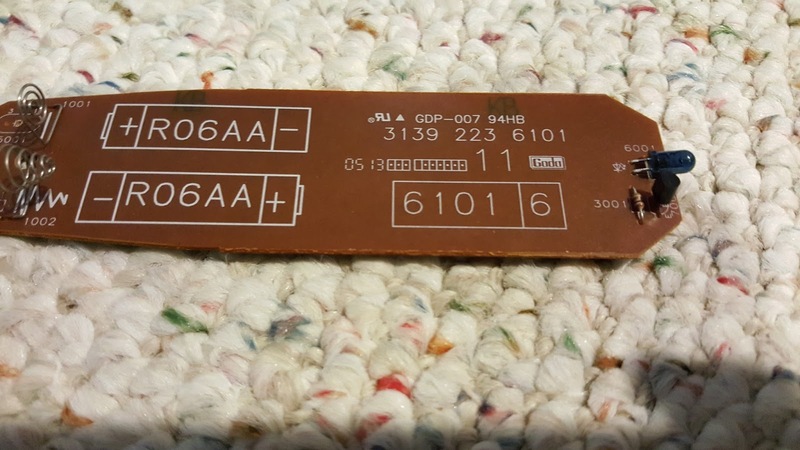 OK, I've got a source of Infrared, now how can I view it? Turns out, this is even more trivial than getting the LED in the first place. A digital camera will apparently pick up infrared by default. Fancier cameras actually have special filters to remove this light. Luckily, my Galaxy Note 5 doesn't strip out infrared light. That doesn't look especially interesting, except to the naked eye, the LED looks totally off. That's 007 cool, if I do say so myself. None of this, as you can imagine, is particularly novel. In fact, for $20 bucks you can buy an Ir Beacon, which is little more than a few Ir LEDs, a battery and some electronics to make it blink in a predefined pattern. These are built with night vision goggles in mind, but they'd work with the above camera hack without a problem. 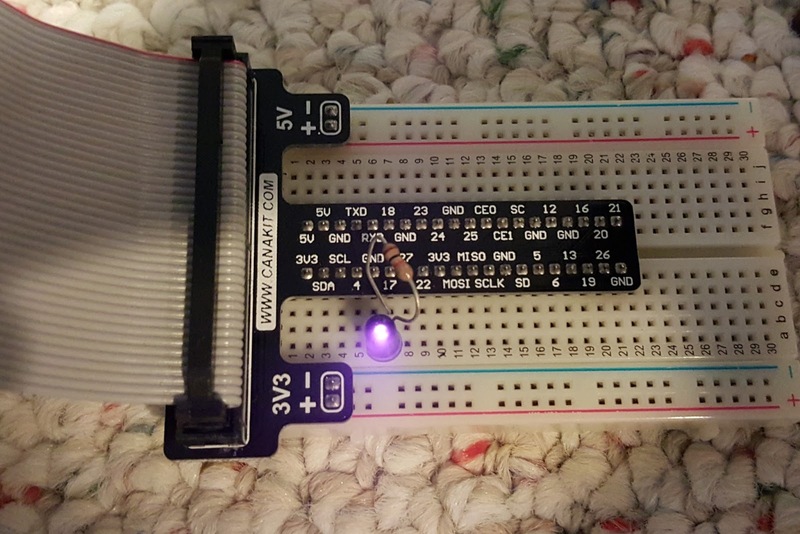 Of course, there's no reason to limit the Ir LEDs to signaling uses. 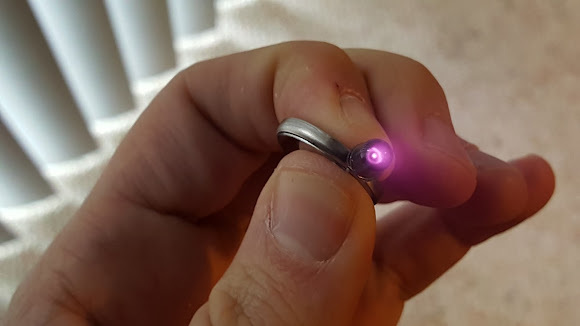 It would be trivial to pack a number of LEDs together, creating an Ir visible only flashlight. That would make photography in low or no light a very interesting proposition to say the least. Heck, combine such a flashlight, a cardboard VR mount and you'd have a functional night vision goggles on the very cheap. Oh science, you never cease to amaze!